Socalweb, LLC. 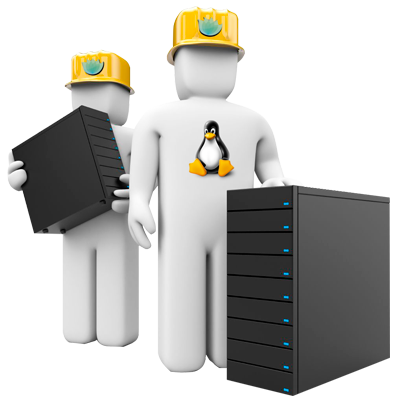 - Comprehensive managed hosting and professional Linux consulting. hosting & professional Linux consulting company . managed hosting and professional Linux consulting services. The Museum of Contemporary Art, Los Angeles. Founded in 1979, MOCA is the only museum in Los Angeles devoted exclusively to contemporary art. It is committed to the collection, presentation, and interpretation of work produced since 1940 in all media, and to preserving that work for future generations. Socalweb is honored to provide comprehensive managed hosting services, 24/7 monitoring and support for all of MOCA's online needs. Cyberverse is LA's most trusted colocation provider, at one of LA's best-rated facilities. For over 10 years Socalweb has provided Linux consulting services for Cyberverse and their clients. FilmL.A. coordinates and processes permits for on-location motion picture, television and commercial production under contract to an ever-increasing roster of public-sector clients in the Los Angeles region. 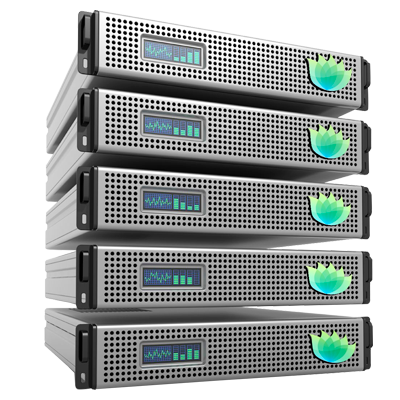 Socalweb provides load balanced mission critical comprehensive managed hosting and 24/7 monitoring and support services for FilmL.A. Natives of Malibu, California. Freedom Artists is an independently run clothing company with influences from surfers, skaters, snowboarders, musicians, filmmakers, photographers, writers, craftsmen and artists. Socalweb provides comprehensive managed hosting services for their website and shopping cart. Cartagz is California's leading online vehicle registration service. Socalweb provides mission critical comprehensive managed hosting services and 24/7 monitoring for them. XPRIZE is the global leader in the creation of incentivized prize competitions. Their mission is to bring about radical breakthroughs for the benefits of humanity, thereby inspiring the formation of new industries and the revitalization of markets. Socalweb is honored to provide mission critical managed hosting, 24/7 monitoring and support for XPRIZE. Shared hosting, Cloud, VPS, or dedicated servers - we will setup, configure, maintain and support your mission critical server(s) - treating them just as if they were our own. Through our 24/7 proactive monitoring services, issues are discovered and resolved before they have a chance to affect your site or application. We take backups seriously; we make complete daily images of your entire server. In the case of a catastrophe, we can have your server restored from scratch and back online in no time. We also archive the backup's offsite to a geo redundant location for added piece of mind. All of our managed hosting is done in a state of the art data center housed in a secure and robust, seismically retrofitted building equipped with redundant power and connectivity. The data center is supported with diesel-based generators to assure continuous operation in the case of an emergency. Multiple Tier 1 backbone providers. Redundant power, temperature-, and humidity-control systems. On-site generator farm with 17 1500kw generators and 20,000 gallons of diesel fuel. On-demand connectivity with virtually no bandwidth limitations to all major providers. Fully redundant (2N) power from two separate utilities. Four on-site infrastructure operations engineers to manage power and cooling systems. Biometric scanner (fingerprint) plus cardkey for enhanced access security. N+1 redundant routing, with available HSRP/VRRP. We love Linux - and we happily provide expert professional support for all distributions and all related software. Socalweb has been building, managing, and supporting Linux servers and networks for well over a decade. We are available on a per incident hourly basis, as well as long-term contracts and monthly retainers. Apache PHP, Mod_SSL, Mod_perl setup, configuration and performance tuning. Nginx and PHP-FPM installation, configuration and tuning. MySQL setup, configuration and performance tuning. Security services, keeping applications up to date and secure, PCI compliance, vulnerability scanning. Security auditing and hardening, compromise recovery. Backups, snapshots and data restoration, disaster recovery. 24/7 remote server monitoring and response. Advanced spam and virus filtering. File and directory services, CIFS, SAMBA and NFS. Custom kernel rebuild and compiling. RedHat, CentOS, Fedora, Suse, Ubuntu, Debian, Gentoo, Mandriva, Slackware, OpenBSD, FreeBSD. Apache, PHP, Mod_SSL, Mod_perl, Qmail, Postfix, Sendmail, Vpopmail, Clamd, Spamassassin, MySQL, DNS, NAMED/BIND, NFS, Samba, CIFS, DHCP, IPTABLES, SSH. Managed Shared Hosting, Fully Managed VPS Hosting, Comprehensive Managed Dedicated Server Hosting and Comprehensive Managed Public and Private Cloud Hosting. We also provide domain name registration, SSL certificates and enterprise SPAM filtering services. For over 12 years Socalweb has been providing comprehensive managed hosting and professional Linux consulting services. Whether it's just a single website, dedicated servers, VPS or a web farm in a load balanced high availability environment - we can create the right solution to fit your needs. No gimmicks, no fancy marketing - only consistent high-level personal service and support. Call us old fashioned, but we believe that a job well done is the greatest form of advertisement. Every client is our most important one - 95% of our clients are acquired by word of mouth or referral. We let our service and support speak for itself. . If you would like to speak with a human being just give us a call. Or you can send us an email and someone will get right back to you. © 2019 Socalweb. All rights reserved.